3GPP release 10 driving force to further develop LTE technology towards LTE–Advanced. LTE Release 10 was to provide higher bit rates in a cost efficient way and, at the same time, completely fulfil the requirements set by ITU for IMT Advanced, also referred to as 4G. Its specifications freeze in 2011. Improved performance at cell edges, e.g. for DL 2×2 MIMO at least 2.40 bps/Hz/cell. Carrier Aggregation 3GPP release 10 needs to support wider transmission bandwidths than the currently supported 20 MHz specified in Rel.8/9 while maintaining the backwards compatibility with Rel-8/9. The preferred solution to this is carrier aggregation , where multiple component carriers are aggregated to form a larger overall transmission bandwidth.The carrier aggregation suppose to consider following scenarios. Release-10 signalling shall support aggregation of up to 5 DL CCs and 5 UL CCs, irrespective of intra- or inter-band CA. Release-10 shall be support both intra- and inter-band aggregation. 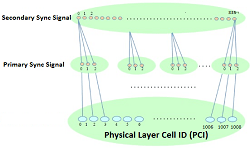 Releasel-10 shall b e support inter-band aggregation under deployments with RRH and repeaters, i.e., with different signal reception timings across CCs of different bands. 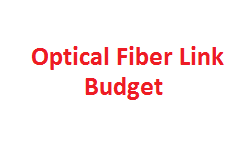 Specification of carrier aggregation bands shall be done in Release independent manner. Uplink Multiple Antenna Transmission for supporting UL SU-MIMO with up to four layer spatial multiplexing is needed to fulfil requirements for LTE-Advanced on peak rate spectral efficiency of 15 b/s/Hz. 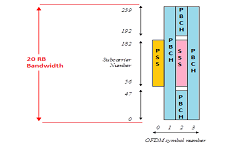 During the LTE-Advanced study item, UL transmission diversity for PUCCH and codebook based transmission for PUSCH will help ensure that LTE-Advanced system deployments offer good cell edge and average performance. Release 10 Specifies UL SU-MIMO for up to 4×4 MIMO, considering practical UE implementation. Relay for LTE have been introduced in release 10 LTE-Advanced study item. One of the prime perceived benefits of relay is to provide extended LTE coverage in targeted areas at low cost. 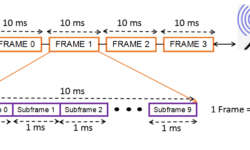 In order to maximize the benefits for cost-effective coverage improvements, relays are standardized as part of release 10. The eNodeB-to-relay link operates in the same carrier frequency as the relay-to-UE link. The eNodeB-to-relay link operates in a different carrier frequency from the relay-to-UE link. For each of the above configurations, 3GPP addresses the case where the eNB-to-relay link is operating in the same carrier frequency as eNodeB-to-UE link. No UE impact expected from functionality because of relay and all legacy LTE UEs shall be served by the relay cell. Self Optimizing Networks (SON) Enhancements in release 10 considers the feature like CCO, MRO and MLB and brief is give below. Improving functionality of the MLB in inter-RAT scenarios (the transport method agreed for Release 9 should be used for Release 10). Enable statistical multiplexing gains for variable bit rate services. Support of Allocation and Retention Priority (ARP) pre-emption function for MBMS E-RABs. To allow network to know whether or not it is appropriate to activate/deactivate the service via MBSFN. The impact of such mechanisms on legacy devices should be minimized (it is tolerable if reception status of legacy devices stays unknown to the network).